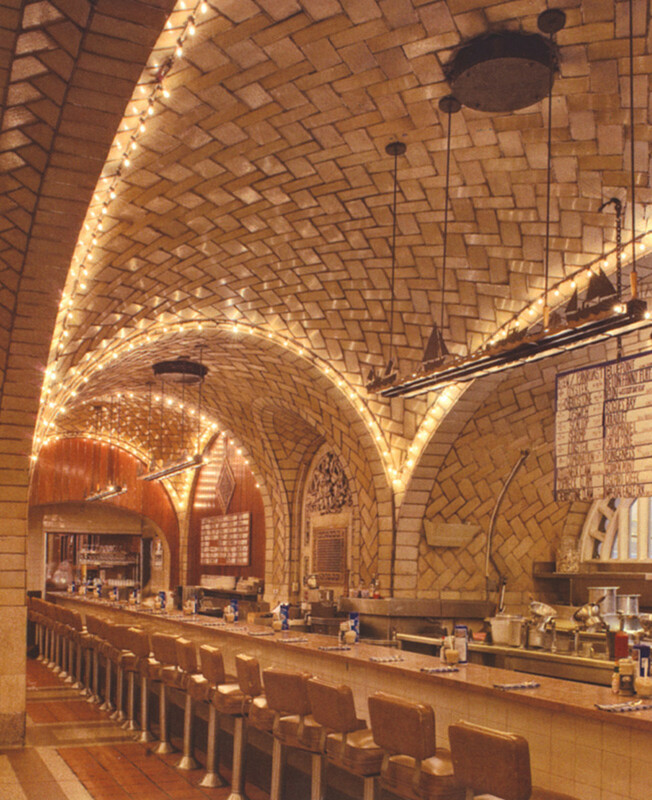 The Oyster Bar in Grand Central Terminal (1912) uses theatrical lighting to emphasize the ornamental character of the Guastavino tile vaulting that also bears the load of the floor above. Everyone has seen Guastavino tile vaults. But few know the name of this remarkable system. And fewer still understand the technology of tile vaults, which can be load-bearing and decorative at the same time. This woeful lack of understanding is corrected by a magnificent new book by John Ochsendorf, an engineer and educator specializing in the technology of historic structures. 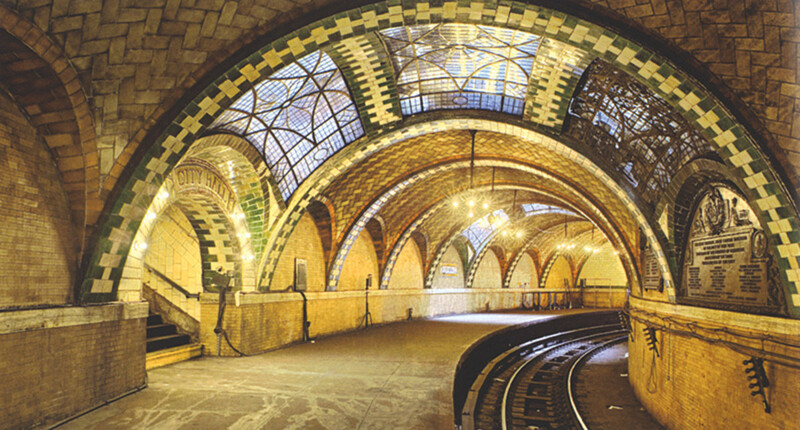 Guastavino tile vaulting was ubiquitous in major public buildings erected from 1890 to 1930. Top architectural firms such as McKim, Mead & White, Delano & Aldrich, Carrere & Hastings, York & Sawyer, Warren & Wetmore, and Cram & Ferguson relied on the Guastavino Company not merely for decorative tile surfaces, but also to supply the design, engineering and construction of load-bearing arches, vaults and domes. Even though the Guastavino Company played a critical role in creating many of America’s great buildings, the company’s contributions are largely forgotten. Interestingly, the tile vaulting method that Rafael Guastavino used to revolutionize construction in America was not new. The economic advantages of tile vaulting were known in Spain as early as the mid-1300s. And the same system (sometimes called “Catalan vaulting”) was also used by Spanish builders for some projects in their New World colonies. Tile vaults, unlike heavier stone or poured-concrete construction, can be built without heavy timber centering to support the work. The secret lies in using fast-setting plaster of Paris to create strong bonding in the first course of tile that cantilevers over open space. As soon as the plaster sets, a second overlapping course of tile, set in Portland cement mortar, is laid on top of the first, followed in due time by a third course. When complete, these thin-shell tile “sandwich” vaults were remarkably strong and, because of their light weight, exerted little lateral thrust. It is worth noting that no Guastavino vault has ever collapsed. However, it wasn’t until architect Rafael Guastavino, Sr., emigrated from Spain to America with his son, Rafael, Jr., in 1881 that this Mediterranean construction method was introduced into the U.S. 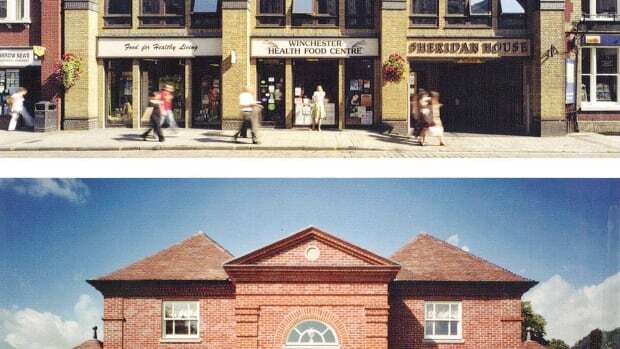 The senior Guastavino started a design/build company for construction of fireproof buildings using tile vaulting systems. He was successful, and by 1888 had offices in New York and Boston. The City Hall Subway Station (1904) in New York City shows the ability of Guastavino tile vaulting to provide both structural support and a decorative surface finish. Then in 1889 he got a really big break: Charles McKim of McKim Mead & White hired Guastavino to provide structural tile vaulting for the new Boston Public Library. 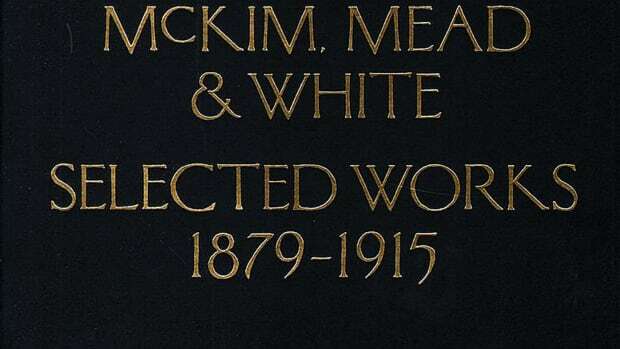 The speed and economy with which Guastavino executed the job cemented his reputation with McKim. 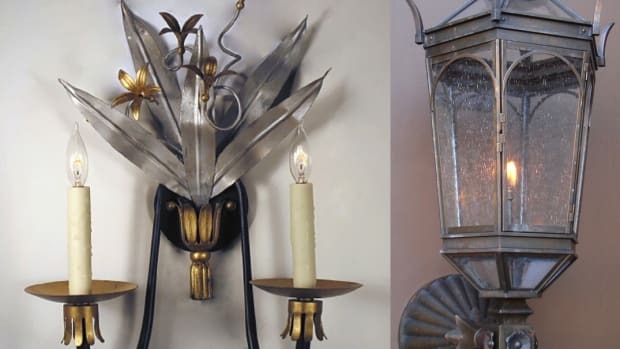 And having thus won the confidence of the nation’s most influential architect, work began to roll in from other design firms. The Guastavino Company’s ability to provide a proven system that would span any architectural space had enormous appeal for architects creating arched and domed interiors in the Beaux-Arts tradition. Train stations, museums, religious buildings, colleges and numerous other public buildings soon displayed the visually distinctive Guastavino vaulting system. When the elder Guastavino died in 1908, Rafael Guastavino, Jr., was fully able to take over the company. The younger Guastavino was as energetic and creative as his father, and under his direction the firm reached the peak of its success in the 1910s and 1920s. 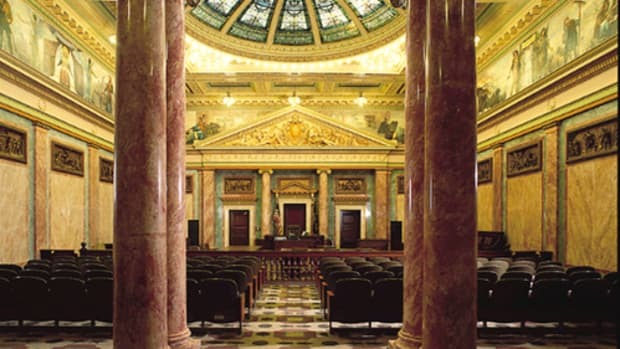 Guastavino, Jr., had special interests in acoustics and engineering, and innovated in areas of sound control and construction of large domes. The firm’s most amazing achievement was the “temporary” dome that Guastavino, Jr. designed for the Cathedral of St. John the Divine in New York City. The cathedral had been under construction since 1892, and by 1909, the four great stone arches at the crossing had been completed. However, money was not available to build the massive stone tower that was supposed to sit upon the arches. The cathedral trustees needed a temporary covering at the crossing, and Rafael, Jr. provided the solution: An enormous tile dome. The work was to be done entirely from above – without any supporting scaffolding. In just 15 weeks, the Guastavino company completed one of the largest masonry domes every built – a span of 135 ft. – at a cost of only $10,300. This “temporary” dome is still in service 100 years later! The Guastavino Company prospered as long as Beaux-Arts architecture was in fashion. But the advent of Modernism, with emphasis on flat planes and unornamented surfaces, combined with advances in prestressed concrete, spelled the beginning of the end for tile vaulting. Guastavino, Jr. developed glazed tiles that created beautiful ornamented surfaces, reaching an apogee in the 1912 Della Robbia Room of the Vanderbilt Hotel in New York City. At this point, however, Guastavino tile had become a high-cost interior finish rather than an economical structural system. The Guastavino Company lingered until 1962 when it finally closed permanently. 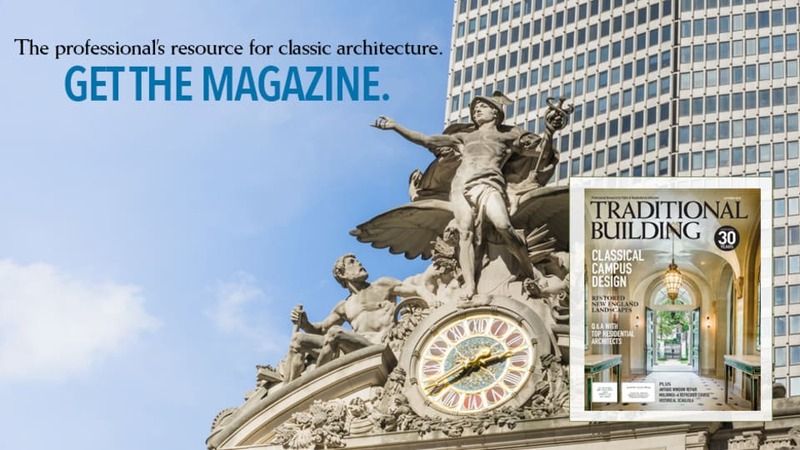 Prof. Ochsendorf has produced an absorbing and meticulously researched book that brings to life father-and-son Guastavino and their intimate involvement with landmarks of Beaux-Arts architecture. Beautiful photos by Michael Freeman add visual drama to an already fascinating story. And the list of nearly 600 Guastavino projects in the Appendix provides an excellent starting point for anyone wanting a close-up look at the company’s work. This book is a must-read for architects, historians, structural engineers and any professional who might be called upon to restore a Guastavino installation. Most of all, the book is brilliant reminder of the time when clients built for the ages and architects assumed that creating beauty in the public realm was essential to their art.